Mike's Beer Stuff | Drinking beers and then writing about them. It is that straightforward. Beers I have drunk and my blog posts. From Small Ash Lane to Mighty Quirks Grow? Having Saturdays to myself, one of the few/many advantages of Mrs Beerfairy working on a Saturday, I am, as our old friends the Soupdragons would have it, ‘free to do what I want at any old time’. This oasis of leisure mainly involves catching up on boxsets and mucking about in the attic but not this weekend. As Christmas approaches my thoughts turn to gifts for those I love and care about and so I asked myself ‘what do I really want this year?’ World peace isn’t looking too promising, this extra stone ain’t going to shed itself and that number one hit continues to elude me so how about some beer ? By fortuitous chance a colleague is tenuously linked to the Quirky brewers, producers and purveyors of the logically name Quirky Ales and, knowing of their brewery open day, I headed up to the backwoods of Garforth to say ‘hello’ and stock up. Quirky was set up a couple of years by the affable Mick Quirk and Mark Speight and it really is a microbrewery in the purest sense of the word. They use a compact, well thought out 200-litre German set up and the entire operation, bar storage facilities, could easily fit in the back of my car. I exaggerate a little and I have got a big car but you get the picture. 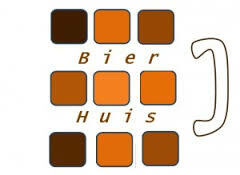 The range of available beers, both bottle and barrel-conditioned, is solid and covers the basic ground. There is a hoppy one, a bitter one, a porter, a couple of blondes and a ruby. 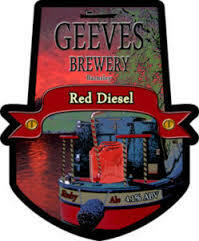 Ingredients are sourced locally when they can and the beer can be seen regularly in local pubs in the area. All decent brews and nothing I wouldn’t be happy to put in my glass on a regular basis. Speaking with Mick he told me that, while retaining their core palette, they were looking to branch out into more esoteric flavours in the near future-a plan I can only endorse and encourage. One man and his plant. There are a lot of very good core beers out there already and it is a tough market to crack and all small breweries, I feel, need to offer something that will distinguish them from the dozen other bitters or hoppy beers that are next to them either on the shelf or the bar. In turn, this led to us discussing the importance of marketing within the craft beer/micro-brewery world. Marketing is something I am very interested in. I am a great advocate of multi- platform marketing in the beer world but only if the beer is decent to start with. You are going to need very deep pockets to persuade people to drink a mediocre beer; did someone say Budweiser ? Quirky has a good solid core selection but a more diverse range and racking up the marketing could help to move them forward and distinguish them from the myriad of small brewers that are springing up across the country. All the best and continued success for 2016. Sofa so good – bad to the broken bone. Close to five years ago I had a midlife crisis – I split with my then girlfriend, now wife and bought a BMW. Two instances of folly that, in the pantheon of worst ideas I have ever had, fail to compete with the decision to take up snowboarding. For a man with the balance of a drunken penguin and a gait that is best described as unhinged this was not a sensible move. So, to indulge this stupidity I booked myself on to a ‘learn to snowboard in a day’ course at Xscape in Castleford. A more accurate name would have been ‘fail to learn to snowboard in 3/4 of a day and then sit in a wheelchair for a bit before your seething ex (yes, the one you have just dumped) comes to collect you’ course. I was doing OK at the drinking coffee and witty banter side of things and maybe I should have just gone straight to the apres-board but images of cutting powder on distant slopes blinded my judgment and, having managed the nursery slopes, felt ready to move on to greater things. It is worth noting that the nursery slopes were of such limited incline that prenatal would be a more fitting description. As a man who has jumped from bridges, bungeed over Salford Quays and dated a judge’s daughter I would regard myself as reasonably fearless or stupid. To misquote ‘the tap’ there is a very thin line between fearless and stupid, as I was about to discover. The more advanced slope was a whole different ball game and it was with no little intrepidation that I launched myself from the top of the advanced slope only to face-plant in the false snow within a matter of seconds of letting go of the handrail, rising to my feet like a disorientated Tony Montana I would scramble back to the launch area for another round of humiliation on ice. With much perseverance and not a little luck I managed to get past the 5 meter mark and was already imagining myself grabbing some big air when, to avoid an invisible child, I turned to the left, stumbled and dug the front of my board in to the snow causing my right foot to perform an arc whereas my left ankle, taking the path of least resistance simply turned 90 degrees. Now, I am not a medical man but even I know that feet are not designed this way and that was pretty much that. A few minutes later I was being carried off the slope or more accurately pulled off the slope as I sat on my snowboard like an arctic spartan being brought home from battle, from there it was but a painful hop into the suspiciously at hand wheelchair to await the bundle of fury that is now Mrs Beerfairy. Months of physio was of little use and it was eventually discovered that I had managed to break the inside of my ankle – a particularity painful and daft think to do. My belief that Marlboro Light, Big Macs and anadin are a universal panacea was coming under some heavy attack; every so often my ankle would ‘go’ reducing me to shuffling around on my bum like a worm infested Labrador. Having to be fireman’s lifted, ironically by a policeman, off Mam Tor in the Peak District was another indication that my ankle wasn’t all it could be. Spurred on by the fact that the above listed homeopathic approach was never going to work I decided that going under the knife was the only option so on 20th April I found my self having a spinal injection in preparation of surgery. Now let me tell you I have had my nights of indulgence to the point whereby I was falling off the floor but that was half a lager shandy compared to the level of leglessness I was rendered by one little shot. Being awake I was able to watch the operation on the monitor and believe me when I say there is nothing odder than looking at the inside of your ankle while someone hacks away at the bone. 5 hours and a catheter later and I am on way home to lie on the sofa and wee in a bucket for a fortnight – some fairly heavy medication so no beer for Mikey for the immediate future which is shame really as I collected £45 in vouchers for my favourite beershop (big shout out to the Curious Hop in Otley) for my recent birthday. So here I am reduced to a one room existence wading through the far recesses of the tv channels like a one legged Indianna Jones seeking out a nugget of entertainment somewhere between ‘catching really angry looking fish with that bloke from Soldier Soldier’ and ‘angry, sweary chef shouting at idiots’. At the moment I am ploughing my way through ‘This is England 88’. Glad to see someone else is more miserable than me. Anyway, time for a few more painkillers and my afternoon nap, I am reliably informed it is Saturday so don’t feel guilty about not working. Bye for now but watch out for future drug fueled ramblings. On a serious note my thanks to the staff of Chapel Allerton Hospital. The NHS is a wonderful thing. My latest foray in to home brewing has given mixed results – a coffee porter with the kick of a triple espresso but with the stability of a unbroken wild stallion who has drunk too much Sunny D.
My first serendipitous mistake was to use Necafe Azera Amercina as my base coffee rather than the granules to be used in a cafftitier so that the equivalent of about 20 cups of coffee (strong, no milk) seeped into the 40 litre brew so rather than a mild after-taste the flavour comes at you like a steamtrain. My second mistake, upon reflection, was my eagerness and haste to bottle it before full fermentation (I think?, I am still stumbling forward in the world of home-brew – still, the one eyed man is king in the land of the blind-drunk). Two weeks later and it was ready for consumption. The first bottle required half a roll of kitchen towel to clean the work surface and floor however the one third a glass I managed to salvage from the full 500ml bottle was one of those ‘wow – have I made this ?’ moments that leaves one thinking that may be it was time to throw away the shackles of every day wage slavery and goddammit I will open that brewery. A reverie only shattered by the cry of ‘darling, look at the mess’ from Mrs Beerfairy. By judicious use of a saucepan and a measuring jug I am now able to enjoy nearly 2/3 of a bottle at a time and it tastes better at every pouring. A few bottles (with appropriate warning) have been distributed around the office to the more discerning of drinkers and the feedback has ranged from ‘excellent’ to ‘ better than what I bought in the pub last week’ – the brand that was considered inferior was named but modesty and possibly the laws of libel prevent me passing this on. There are still 20 odd bottles in the neighbour’s Anderson shelter; ironic that the bombs are now possibly going to go off inside rather than outside. as well as all the usual sugar, water, swearing etc. So there we have it, coffee porter made, lessons learnt and kitchen floor cleaned. A half pint of ice cold carlsberg ? – half a pint as no-one would drink a pint – ice cold to mask the taste. 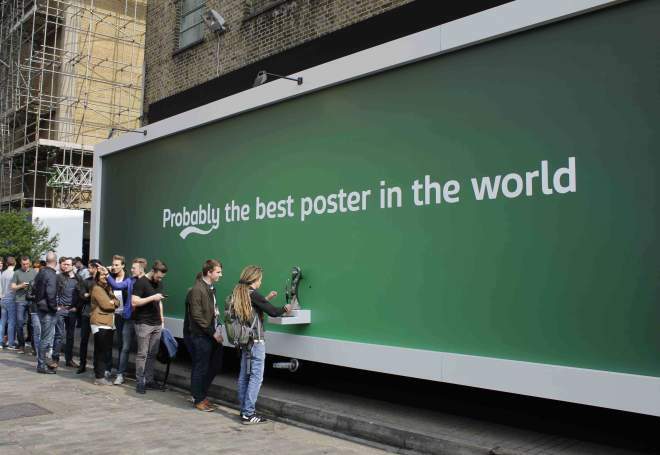 Carlsberg today unveiled a 3 m x 12 m interactive (meaning beer-dispensing) billboard at the Truman Brewery, in situ for one day only, to tempt passers-by to ‘discover and enjoy’ a half-pint of ice-cold Carlsberg (as if it were a beer that no one’s ever heard of?). There comes a time in the life of every drinker that they think, usually after a few drinks, ‘I can have a go at that’ and with that in mind I headed up the homebrew centre in Morley. Twenty minutes later and £80 lighter I arrived back at Bf towers with all that was required to brew up 40 pints of what, I was assured, would a reasonable approximation of Fullers London Pride. I was using a Milestone starter kit and so having spent a fair amount of time sterilising everything with reaching distance (I fear that I may never now have children) I set to work. Having the eyesight of a mole with cataracts and the logical mind of a distracted squirrel I did struggle a bit with what were probably straight forward instructions but eventually I got a barrel of fermenting wort (?) up in to attic and, after a few weeks of fermentation and regular temperature checking I decanted the resulting brew into my plastic barrel and left it bubble away. 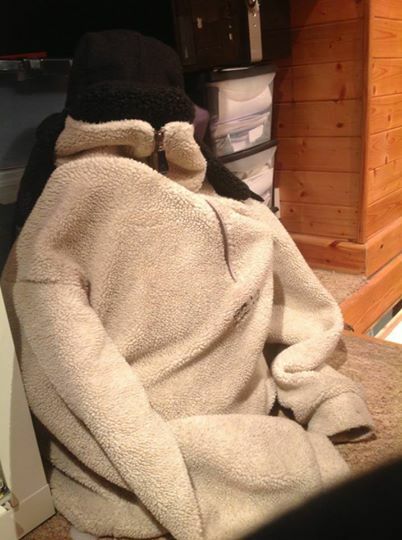 There was a slight glitch when the heating went off for a few days due to a new bathroom being fitted but the application of a fleece and woolly hat (for the barrel not me) seemed to do the trick and, with a little intrepidation and a steady pair of hands I carried the whole lot down to the kitchen for testing. Admiral Bentine’s Potty Time ? -one for the oldies there. I used a couple of the CO2 valves I got with my pack but to no avail, the ale was as flat as the proverbial witches breast but was not unpleasant to the taste. Fullers would no doubt be on the phone to their lawyers if I were to claim that it tasted anything like their London Pride. It tasted like, well, I suppose, homebrew is the best that can be said and not entirely unexpected. I decanted quite a bit into bottles so as to avoid the sediment and got a nice clear autumnal shaded beer. A quick request via twitter for a name and soon we had a dozen wine bottles full of Misty Mountain Hops – as an old Led Zep fan this appealed to my love of awful puns (I was once of a mind to start a cleaning company just so I could call it ‘Dust Never Sleeps’). At this point I would like to thank Mrs Bf for her supply of empty wine bottles – a selfless task that she entered into with great gusto. They say that no-one will ever tell you that you have an ugly baby and the same may well be true of your first batch of homebrew. Extensive testing with Scottie led us the conclusion that it was, despite my first concerns, quite alcoholic and to be honest I have developed quite a taste for it; just as well really as I have at least another 7 bottles to go. I find it tastes best if served chilled so the fridge is now the fullest that it has been for a long time. I took a few bottles back home to Liverpool for my nephew’s 18th and asked for an opinion there; I can only assume that it doesn’t travel that well as the most favourable review I got was ‘it’s not horrible’ to ‘ that is f@ck!ng rank’. So there we have it – first batch of Misty Mountain Hops in the bottles and ‘it’s not horrible’. Just started on a batch of coffee porter so watch this space. Apologies to any homebrew experts out there if I have used the wrong terms but hey I am on a newbie. Having dropped Mrs BF off to get her barnett coiuffered I took the opportunity to pay a virgin visit to Bier Huis, purveyor of quality bottled ales to the good folk of Ossett and for many miles around I am sure. Being from the city of Liverpool and living in Leeds I must confess that the need for a trip to Ossett have been limited. They say that when a man is tired of Ossett he has obviously been there for more than 30 minutes. Not entirely fair but not a seething metropolis; a small quite pleasant little town, the kind of place Reggie Perrin may have settled down in all those years ago following his departure from Sunshine Desserts. That said the carparking cost me a conker and a couple of broken biscuits (still recognised currency in parts of Yorkshire) and I did find a fine cappuccino to enjoy in the sun to kill a few minutes. I didn’t stop to read the tourist information guide for the area but I would hope that they would include a recommendation to visit the aforementioned Bier Huis. Row upon row of shiny bottles all shouting ‘pick me, pick me’ greeted me as I entered and, with the assistance of mein host David, I did just that. Ever keen to support our local brewers I stuck to Yorkshire brewers and came away with a fair selection and representation of what is on offer in God’s Own County. 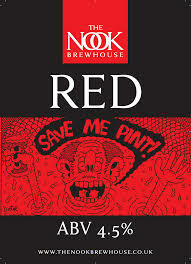 Tonight, being Monday and the sun shining, I managed to forego diving into my beer box until I had jetwashed the decking and strimmed the front hillside – BF towers are situated on a hill; wonderful views but a bugger to manage – so when all the work was done and dinner cooked I sat down with a bottle of Red from Nook Brewhouse and delightful it was to, malty and fruity just how I like them. It may have been the couple of hours gardening to sharpened my thirst but ‘by ‘eckers’ as they don’t say around here ‘ t’it were reet grand’. A warm but refreshing ruby ale that, I am ashamed to admit, only lasted three gulps. I know, philistine but boy did it hit the spot. And that takes me to where I am now. Getting on for 10.30 and time for a spot of T.V. (Mrs BF looking after her dad following the sad loss of her mum a few weeks ago RIP Mary) so making the most of enforced me time. Watch this space. A trip over the Pennines to mediacity at the Salford Quays to see Simon Evans allowed me and Mrs BF to sample the delights of the food festival that was on; how is that for coincidence and not at all planned. The food festival was so-so, Simon Evans very funny and the trip to the Imperial War Museum brought tears to my eyes. The tales of heroism and gallantry against a back drop of pointless empire building should be on the curriculum for every child in the land to show that while man is capable of great stupidity, greed and evil there is a defiant spark of bravery, selflessness and sheer courage in the face of adversity that gives a belief that there is hope for a better tomorrow. Moving back into the sunlight of a glorious bank holiday Monday only seemed to heighten the sense of optimism. While not wishing in any way to denigrate the memories of the millions who have died on the battlefield it must be said that Booth’s did a little to bolster my spirits and with a nod of encouragement from my good lady and clutching my wallet like a five year old on his way to the funfair I dived into the beer section. Booths, while having nothing by way of breakfast left by 10.00 a.m. on a bank holiday Monday, do have a fine beer selection. True, there is a fair amount of the usual suspects that one would find on the shelves of many a provincial supermarket but there were some out-of-ordinary brews that make such a trip worthwhile. Stocking up as much as seemed decent for a day out I will, for the sake of research and demands of my public, work my way through them and pass on my thoughts. My thoughts alone and in no way influenced by anything other than what is in my glass. 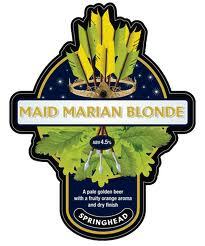 Maid Marian from the Springhead brewery in Notts, consumed within 10 minutes of arriving back from Manchester and a 50 minute drive in the setting evening sun I must admit that anything would have tasted as if poured from the gods own chalice. A refreshing blonde with a fruity taste it just hit the spot and would certainly be a good choice for a (sunny) summer’s afternoon and at 4.5 ABV not going to give you a melted skull feeling the next day if consumed in any great quantity. A bottle of Aviator from the Dent brewery left me a little unimpressed. Being, apparently, one of the remotest breweries in the country may account for what I found to be a very traditional bitter, nothing wrong with this but I have never really been a fan of your more traditional brews and it reminded of sneaked swigs of pints when I used to go and watch my dad play cricket in the early 80’s when I was younger so much younger than today. Won’t be putting that back on my shopping list again. Back among familiar ground my third for the day was a bottle of Eden Gold and a decent drink it was too. It is described as ‘snapped thistle aroma’ – in the absence of any thistles; snapped or otherwise I am not really in a position to comment I can say that there was a definite fruity smell and taste and would place in the same ball park as Maid Marian in the overall quaffable stakes or to put it another way quaffable with steaks. Will be looking to go through a few more in the evenings to come and will, for what it’s worth, let you know my thoughts now if you will excuse me I think it is time for a Thwaites Nutty Black (tbc). Back so soon? Well, sat here in my garret listening to Henry Priestman watching the sun set over the valley with a glass of the aforementioned Nutty B and all is well with the world. I really like the darker end of the spectrum when comes to late evening quaffing. A rich, warm mix that has me wanting to be sat in a beergarden overlooking a tranquil seascape with some close friends but alas and alack the wife is at her Dads and friends are scattered far and wide but I am drifting. So that is the first batch of brews from Booths. Catch you late in the week for a further update. 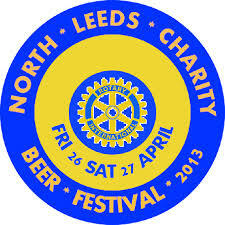 The North Leeds Charity Beer Festival 27th April 2013. 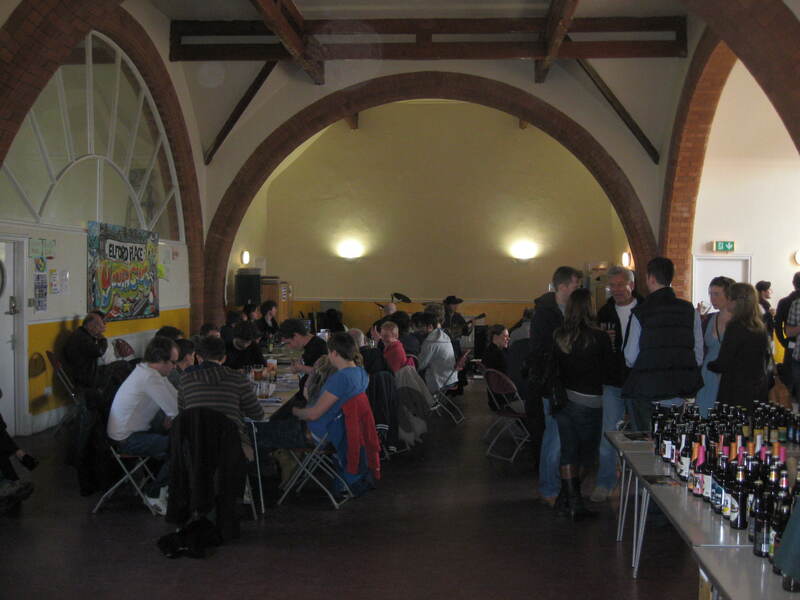 I had the chance to volunteer as barman for the Saturday afternoon/evening session of this two day event. Based over two floors at St Aidan’s Church Community Hall, just off Roundhay Road, it was just the right sized venue for this reasonably well attended event. 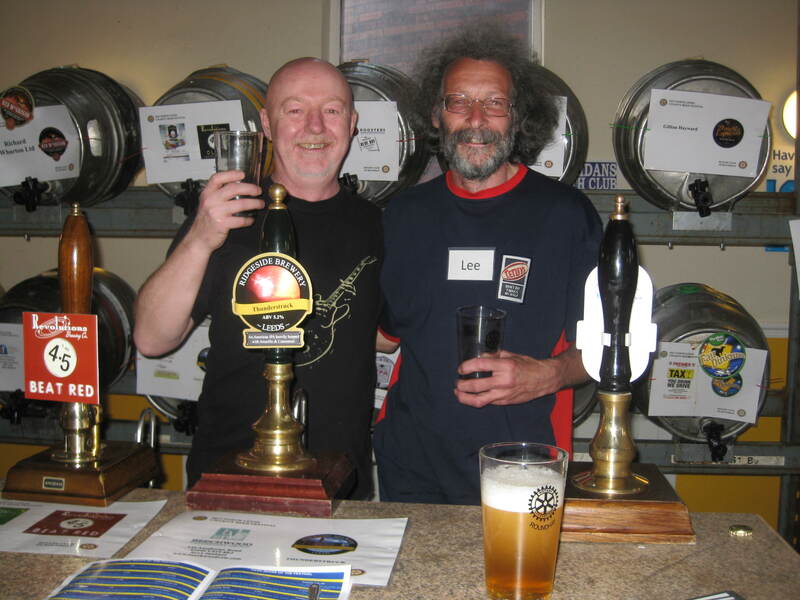 The festival premise was straight forward; a drink-off between the finest of Yorkshire brews and their counterparts from North of the border; an excellent idea – nothing like a bit of jingoism to get the half pints flowing. I spent most of time on the top floor under the guidance and tutelage of Lee however due to the almost constant background wall of sound courtesy of local bands a lot of the time I simply nodded and smiled. I have found that this response works well enough for most arenas in life and beer festivals proved to be no different. The ales themselves were very much a parson’s egg, ranging from the sublime to the average. As I was allowed to help myself as I went I was able to make an in-depth analysis of what was on offer. I was particularly taken with the TSA Double Espresso Wild Oat Stout; this seemed to be a bit of a marmite beer with repeated purchases or face pulling of the kind you get when giving broccoli to a three year old. Another brew that took my eye and mouth was the Red Macgregor, as you would guess this too was from our Caledonian cousins. So that is 2-0 so far. To even the score I would like to bring in the Rapture from those nice people at Magic Rock in Huddersfield. A really tasty amber ale that has a kicking citrus backbite to it. The tasting notes say there is a taste of pine but the overwhelming taste was grapefruit; suits me I would rather eat a grapefruit than a Christmas tree !. Back on a Yorkshire bent the Clash London Porter from Whitwood over at Castleford was certainly one of the best of the show. I prefer a richer, darker brew and this Porter hit the spot and, to be fair, anything that references one of the finest bands ever to play guitar is going to be worth investigating. There were a fair few lighter Pales and Blondes on offer and while not my beer of choice I had the odd snifter of YPA from Roosters Brewing and, to even things up, the Duchess Anne from Strathhaven. You have to bear in mind that as a displaced scouser I have no geographical allegiance and so can show favour without regard of county pride. It was great to see such a diverse crowd, there were a lot of young, media-type groovers and shakers (look, I am 49 now-anyone under 30 falls into this bracket) to contradict the usual negative stereotypical view that Joe and Josephine Public have about ale enthusiasts. A good high proportion of women as well although to be fair I think some of them may have been there under sufferance and I was asked on a couple of occasions if I had anything ‘girlie’. Found that Seven Giraffes or Fair Dinkum was usually well received in response to such a request although my almost evangelic zeal for the Double Espresso brew did pay off on a couple of occasions, an enthusiasm to convert I would later regret when it ran out; one of the few casks that did. After a six hour shift, numerous beers, two pork pies and as many blues bands as I could throw a drumstick at I made my farewells and left. Home to annoy the wife and a rather sleepless night; wonder if there was something in that coffee based beer? Thanks to Sam, the Rotary Club of Roundhay, the sponsors, the brewers and all the other vols. for a great festival. 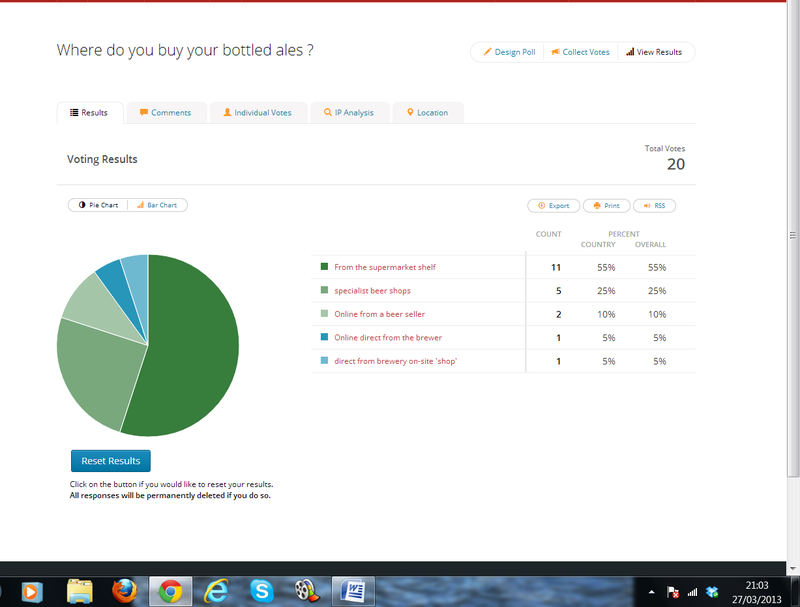 Thanks for your votes in the recent ‘where do you buy your beer from’ poll. Click image to view in big size. As can be seen the supermarket does best but from the comments posted (my thanks again) this would seem to be out of necessity and lack of alternatives rather than any real preference and the general call is that specialist beer shops are, if available, a bit of treat. On the supermarket front I would say that, from my trawl of the various big players, that Morrisons seems to be making the most effort with a decent range of the more commonly found beers. Nothing to obscure or rare gems but then I suppose they are not going to be looking to build up brand loyalty with a brew or brewer that only has limited runs. They have produced a leaflet on chosing a beer that I will give a good going through this Easter weekend but having just spent the day in Manchester on a course, I do have a day-job you know, I really just want to sit down with a Centurion’s Ghost (flavour of the month) and catch-up TV of the Syndicate; simple pleasures for simple Northern folk. Cheers. Hi Guys would appreciate your help with the following poll, shouldn’t take more than a minute and would be useful to me. Just hit the link below and away you go, thanks. Where do you buy your bottled ales ? Thanks for responses to date – have amended poll to show other comments. My latest short bursts on Twitter. See what is on this site.